Some of our clients are looking for unique kitchen tile ideas. They’d like a kitchen that is artistic in design, offers a different kitchen look, and that works with the character of the home but can be found nowhere else. 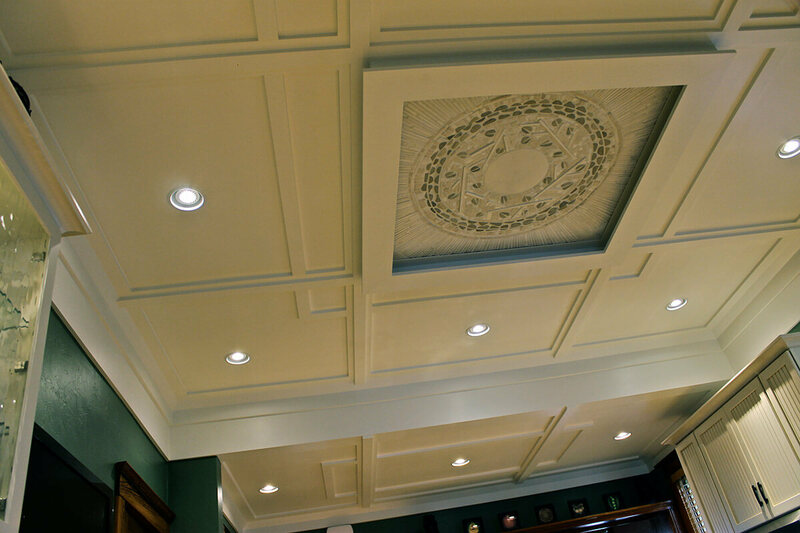 For this Victorian we created a coffered ceiling with a mosaic inlay. 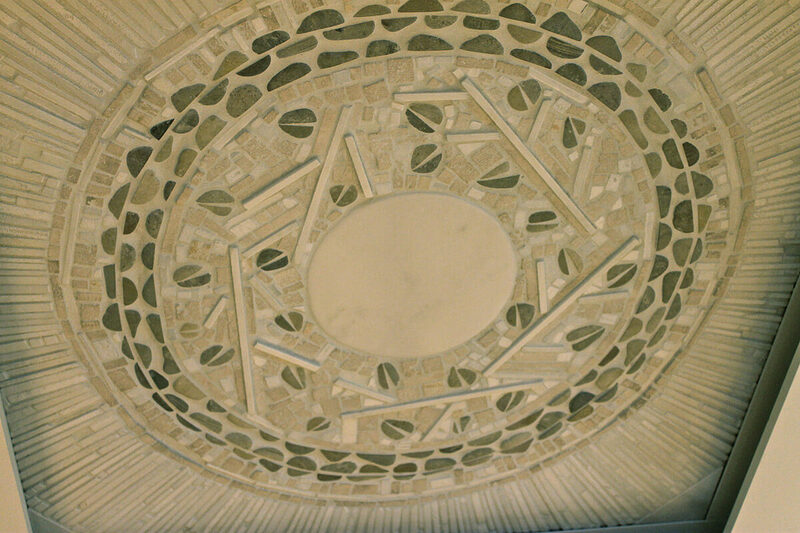 The mosaic depicts a Harvest Wreath, a sign of abundance and health. It is made from marble, travertine, and river rock.